Twitter saves TV series: The best use of micro blogging ever? 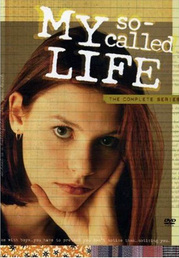 Remember the uproar when they cancelled My So Called Life? No, maybe you were to young. Sigh. Well how about hit show Firefly or the much loved Pushing Daises? Gone, without a trace, despite our best efforts. At the time all we could do was grit our teeth and write long letters of disgust/strongly worded emails to the TV company, as well as the usual serious teenage stropping (but with good cause). Well it seems Twitter and similar social networks mean that it’s harder than ever to cancel a show, especially if it has a devoted fan base. Quirky detective show Chuck is the latest to be faced with the axe, but this time fans aren’t willing to sit back and take it. To try and persuade the programme makers that the show is worth another season they’ve been pretty inventive with their campaigning. To start with, fans have created a Twitter hash tag #savechuck to encourage people to tweet about their favourite show and generate hype. Next they’ve enlisted the help of celebs to try and keep the show on air. Zachary Levi, star of the show is encouraging people to leave comments in the comment section in Subway. Before you shout about that blatant commercialism creeping in, Subway are one of the main advertisers on the show, as it’s vaguely related- the catchphrase being a witty, “eat at Subway tonight to help save Chuck!”. Will these ploys help the show stay on air? I’m not 100% convinced, but they might sell a lot of Subways… That could strangely work in their favour, as if sales of subs increase Subway PR’s will put pressure on the show to keep running, leading to happiness for everyone involved!